When you have an electronic drum set at home, music becomes lively. It also becomes more fun as you can play any song that you like at any time in your house. You also get to entertain your friends especially those who enjoy live music. Similarly, you can improve your drumming skills by yourself at the comfort of your home. Electronic drum sets come in various models and prices for you to choose from. They are also available in different sizes thus you can choose the set that catches your eye. In that regard, the following information will show you the best electronic drum set under $1000 to choose. Super Sound: The Behringer electronic drum set is designed such that it produces super realistic sound. Alongside good sound, it is fitted with ten presets to allow you select the most desired output. Most importantly, it is affordable and you can easily create five different sound combinations. Additionally, it comes with an auxiliary provision. Therefore, you can easily plug in your phone and play your music. The USB port makes it easy to record music from the drum set to your computer. Once, you are done with playing your music, you can fold your drum set and put in your car or house till the next time you play. All Components Included: The Alesis DM7X has everything included such as bass drums, drum pedals and drum sticks. The sound experience from this drum set is amazing once it is up and running. Also worth noting is that, it is easy to set up. In the case of quirks, it is easy to update its firmware so as to produce good sound. Another amazing feature of the Alesis is that its responsiveness once setup is high. In the case where you would not want to disturb others while playing, you can plug in your headphones and enjoy beating the drums. Its pads provide a nice sticky feeling which allows you to play your drums comfortably. Easy to Set Up: The design of the Alesis DM7X compact design makes it easy to fit in rooms. As such, you can be able to enjoy its 385 sounds and installed 40 kits. Its kit contains racks which hold the drums together, and is also easy to put up together. That means you will have a nice experience when playing your favorite tunes in the house. If you are looking for an electronic drum whose bass drum can be connected to another, then this is the model to go for. When you do the second connection, then you will get to enjoy double bass. The only thing required when playing the drums is to connect speakers to enjoy good quality sound. Easy to Play: With the Yamaha DTX400K you can easily train yourself on how to play especially if you are a beginner. It comes with instructions that are easy to read and understand on how to play these electronic drum set. The fact that it comes as a full package means that you can begin playing as soon as you assemble the drums. You can play music from your iPod and phone through the auxiliary function. In the case where you need to play these drums without headphones, you can connect your drums to your amplifier for great sound. 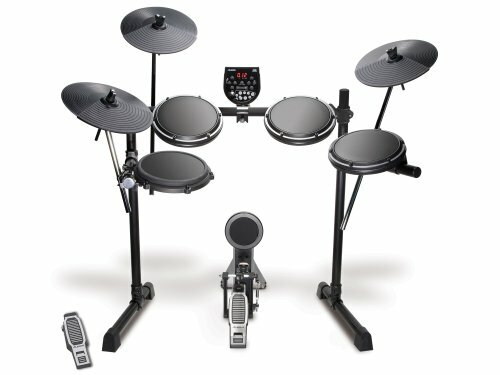 High Responses: The DDRUM electronic drum set is designed such that it has improved sensitivity and accurate responses. This is what makes it sound awesome. It also has a compact metal design when all its components have been installed. This acoustic electronic drum set has industrial standards fitted. As a result, it provides you with a great experience when you take time to play. It also has good tracking ability, and as a result has set new trigger mechanics standards. These triggers are mounted internally and contribute towards the production of good sound. Drum Sounds: The KAT digital drum set is a good option for an individual who is looking for high quality sound. It is an affordable equipment and has over 450 drum sounds. This provision allows you to have a variety of sounds to work with and enjoy while playing your drums. And if you thought that was all, it comes fitted with extra inputs. They assist in the addition of extra drum components for instance, drum pads and cymbal. With the USB port, you can connect your drum set to your personal computer. Similarly, you can as well play music from your MP3 device or record tunes from your drum. These features are put to ensure that you experience high quality sound when interacting with the KAT Percussion. High Response: The Yamaha DTX522K electronic drum set own its incredible sound to the DTX502 sound module. This ensures that it produces responsive and beautiful sound when played. This system also ensures that that there is proper monitoring of studio performances. With the Samson headphones provided, you can play drums and monitor performance. These headphones are also designed to provide comfort and a high response for bass sound. This is also what ensures that clear sound can be heard when playing. Conclusion: The above description give details of high performance electronic drum set including their pros and cons. Also, the important thing is that the described electronic drum products provide quality sound when played. 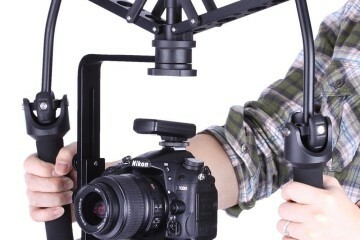 Each equipment has its own unique properties and price increases from the first product to the last. With these information you can determine for yourself the best electronic drum set under $1000 to go for.